Say goodbye to nicks and cuts. Sick and tired of arriving at work late covered in scratches from a hasty shave with your old manual razor? We’ve tested electric shavers and discovered a range of models to make your morning shave quick and painless, including one serious bargain that earned the highest overall score. Here’s what to look for and tips for getting the best shave. Snapshot: The Philips AquaTouch wet & dry S5050 rotating cordless electric shaver has 3 heads and is washable. How well does it shave? Snapshot: The Remington Dual Foil X Titanium F5800AU foil (oscillating) cordless electric shaver has 3 foils and is washable. How well does it shave? Snapshot: The Panasonic ES-ST29 3-Blade with direct foam head foil (oscillating) cordless electric shaver has 3 foils and is washable. How well does it shave? Snapshot: The Remington Power Series Precision Plus PR1241AU rotating cordless electric shaver has 3 heads and is washable. How well does it shave? Snapshot: The Remington Precision X-System R3150AU rotating mains-electric (corded) shaver has 3 heads and isn't washable. How well does it shave? Snapshot: The Philips Series 1000 Dry S1110/04 rotating mains-electric (corded) shaver has 3 heads and isn't washable. How well does it shave? Snapshot: The Braun Series 3 3040s foil (oscillating) cordless electric shaver has 3 foils and is washable. How well does it shave? Snapshot: The Braun Series 5 5020s foil (oscillating) cordless electric shaver has 3 foils and is washable. How well does it shave? Snapshot: The Philips Series 7000 wet & dry S7310 rotating cordless electric shaver has 3 heads and is washable. How well does it shave? Snapshot: The Philips Series 9000 wet & dry S9111-26-SC rotating cordless electric shaver has 3 heads and is washable. How well does it shave? Snapshot: The Panasonic Wet & Dry Rechargeable ES-LT2N-S841 foil (oscillating) cordless electric shaver has 3 foils and is washable. How well does it shave? 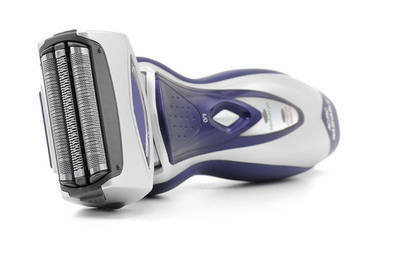 Snapshot: The Remington Wetech Power Series PR1245AU rotating cordless electric shaver has 3 heads and is washable. How well does it shave? There are two types of electric shavers: foil (also called oscillating) and rotary. Foil shavers are the earlier technology, and use an oscillating blade like a barber’s shaver covered by a curved metal foil. Our tests show foil shavers give a closer, more precise shave than rotary models. But they can struggle with long, thick or uneven hair, and their rectangular shape means it can be difficult dealing with facial contours (though some foil models have a head that pivots in three dimensions). They’re best for those who shave every day or two. If they’re used every day they’ll need new foils every 6-10 months and new blades every couple of years. 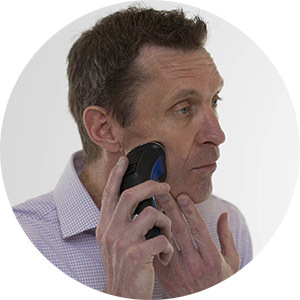 Rotary shavers use rotating razor blades covered by pivoting circular heads, making them easier to manoeuvre around tricky areas like the jawline and neck. They don’t shave quite as closely as foil models but better for long, thick or uneven growth. Rotary models are a good option if you often go several days without shaving. They also require less maintenance than foil shavers, with new heads only required every 2-4 years. Wet+dry shavers can handle a ‘wet’ shave with foam, lotion or a soapy face. Be aware that many models labelled wet+dry can’t handle shower use or immersion under a tap. Waterproof shavers can be used in the shower and washed under a running tap. If you're planning to buy a new electric shaver, here's what to consider. Batteries: most models now use a Lithium ion (Li-ion) rechargeable battery, which are lighter and recharge faster than Nickel-metal hydride (NiMH) cells (Li-ion cells usually only take around an hour to recharge from flat, as oppose to 4-8 hours for NiMH). 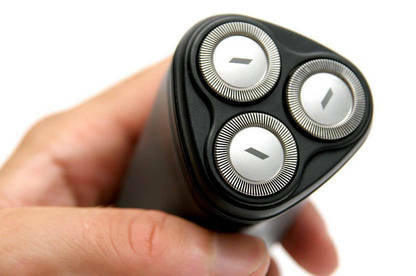 Most shavers can be operated on the mains as well, but shaving with the cord is only meant to be a back-up measure, in case the battery runs out. 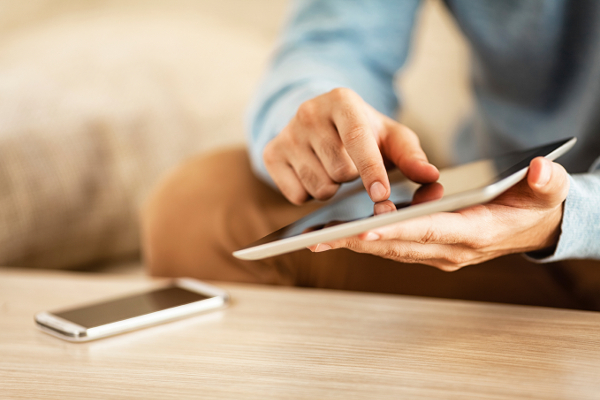 Ease of use: choose a model that's easy to clean and comfortable to hold. If it has a separate blade for trimming beards and sideburns, make sure your view isn't obstructed when you use it. Cleaning is easier and quicker if the shaver can be washed under a tap, rather than brushed out. Cleaning stations: are becoming common on high-end shavers. They’re a dock filled with cleaning liquid which cleans your shaver at the touch of a button. Some models also features sonic cleaning mode which enable more thorough cleaning when you run them underwater. Trimmers: are intended for keeping sideburns in check or maintaining that Daniel Vettori 3-day shadow look. Wet shavers: if you feel that a lather gives a better shave, or you like to save time by shaving in the shower, look for a "wet and dry" shaver. These can't be used on mains power, and have a charging stand. Washable models: cleaning out electric shavers can be a messy and fiddly job. A "washable" shaver will be easy to clean, as you can just run it under the tap, but may not be intended for wet shaves. Travel case: a pouch is easier to pack than a hard case when you're travelling. If your model has a charging stand or power pack, make sure it will fit into the travel case. Also handy for travelling shavers is a locking on/off switch (it ensures the power switch remains "off"), and a shaving head cover to protect the foil or cutters. Indicators: a rechargeable shaver should warn you when it is about to run out of power. It's also handy to have a charging light (so you can be sure you've plugged it in properly), and a more precise display of the charge level. Other indicators may include a light to warn you that the foil or cutters need replacing, or the shaver needs cleaning. Docking station: this can provide a convenient base to recharge your shaver and can also incorporate a cleaning solution. Conditioner dispensing system: dispenses shaving conditioner onto the skin while shaving. Price: many shavers seem to spend more time on sale than at their nominal retail price, so if you don’t like the current price you can often wait a month or so for it to come on sale. When shopping for shavers it also pays to look around — use the priceme.co.nz links in our product profiles to see a current price list for every store where a model is stocked. How does an electric shaver measure up to a disposable razor? Convenient: Electric shavers are quick — and you don't need to bother with shaving gel or foam. Portable: Most shavers come with a travel pouch. Charge them up before leaving home, and they'll stay charged for a week's worth of shaving. Easy to use: Most shavers come with a moustache trimmer, some wash themselves, and others dispense gel. Electric shavers are less likely to bite than a razor blade: they're great for those who have dexterity problems. Maintenance: Foil shavers need new foils every 6 to 10 months and new cutters every other year (it depends on the thickness of your beard). Rotary shavers need new heads every 2 to 4 years. Top tips for getting the best shave from your electric shaver. Charge it up: Make sure your shaver is fully charged. Wash up: Some manufacturers recommend washing your face before shaving, others don't. For most people, this will be a question of personal preference. Pull your skin taut: Stretching your skin allows a closer shave. Shave against the grain: Electric shavers work best if you shave against the direction in which your hair grows. Moisturise: To avoid dry skin, moisturise after shaving. Clean your shaver: Brush or wash away stubble after use. Check the manufacturer's instructions on how to clean your shaver — some can be rinsed under a running tap. Our overall scores comprise shaving performance (60%), ease of use (30%, or 40% for the two corded models) and battery life (10%). Performance and ease of use results are equally weighted between each of the panellists’ opinion. Battery-life testing is conducted in the lab, as is the durability test where we drop each shaver six times from 80cm at different angles (all models came through unscathed). Note: electric shavers intended for women are also available, though we haven’t tried them and they have a reputation for being less effective than men’s shavers. Some women report good results using shavers intended for men, though as with all razors it’s generally the case that you get a closer shave with a blade than with an electric model.